Fan art, fan fic, fan films... How about some fan music? Guitarist MIYAVI Announces Music Video for "Long Nights"
Fan-generated media has become an integral and often controversial component of pop-culture over the years. As we are constantly immersed in our fictive realities of choice, those fictions generally affect us in many ways: emotionally, morally, intellectually, and creatively. Now, I say "controversial" because fan-generation of materials depicting copyrighted properties is often a slippery slope, and it's important to know the copyright law distinctions between what is and what isn't legal to generate. Section 107 of the Copyright Act of 1976 does provide parameters for independent use of properties, some of those parameters pertaining to the effect of the fair use work on the market of the properties being used. This is the reason Michel Fiffe's self-published Suicide Squad comic, Deathzone!, printed in batches small enough that they're insignificant compared to distributed sales, was completely safe and conversely a Kickstarter using art prints of DC-licensed statues as leverage is not (see Bleeding Cool for that story). The legality of a work often has nothing to do with satire, which I often hear comics fans using to justify or denounce certain bootleg or fan-generated media. The legality really hinges on the work's effect on the market in which it operates. Small splash = legal. Big splash (tantamount to competition) = illegal. I say all of this just as a warning: Whatever you favored mode of fan-generation, be sure to play it on the safe side. Even with laws in place protecting fair use, "competition" is somewhat subjective. With that out of the way, let's continue. This year in particular, I've found myself truly inspired by the comics I've been reading. Not only are there quite a few great contemporary comics hitting the stands every week, but I've also been catching up on two great Flash runs, those written by Mark Waid and Geoff Johns respectively, and revisiting old favorites like Morrison's JLA and Lapham's Batman: City of Crime. Yesterday, I wrote about another favorite comic book run of mine: Green Lantern by Ron Marz. That article can be read here. Writing about that and thinking about my ideal GL film, I found myself struck by a wave of creative inspiration. I do write, and I do sketch, but there are certain times that I feel the need to express this type of inspiration musically. I suppose I often feel a bit cheated also by Hans Zimmer-like scores that often lack the lyrical quality of classic film music. 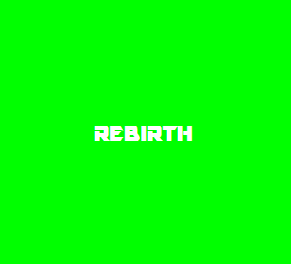 So, that's how I expressed my current infatuation with everything emerald--I composed a Green Lantern-inspired film score called "Rebirth," which can be listened to and downloaded for free here. This isn't my first time dabbling in comic-inspired tunage. Earlier in the year, I released a concept EP, "Book of John," which was heavily influenced by Brandon Graham's revamp of the Image Comics series Prophet. I've found that this outlet is a phenomenal way for a fan like me to participate in fan-generated media in a different way. I really encourage others to try it out and to share those creative endeavors with us at the Bin! Already have some fan music for us to check out? Email us your links, and if we like what we hear, we'll mention you on the site.